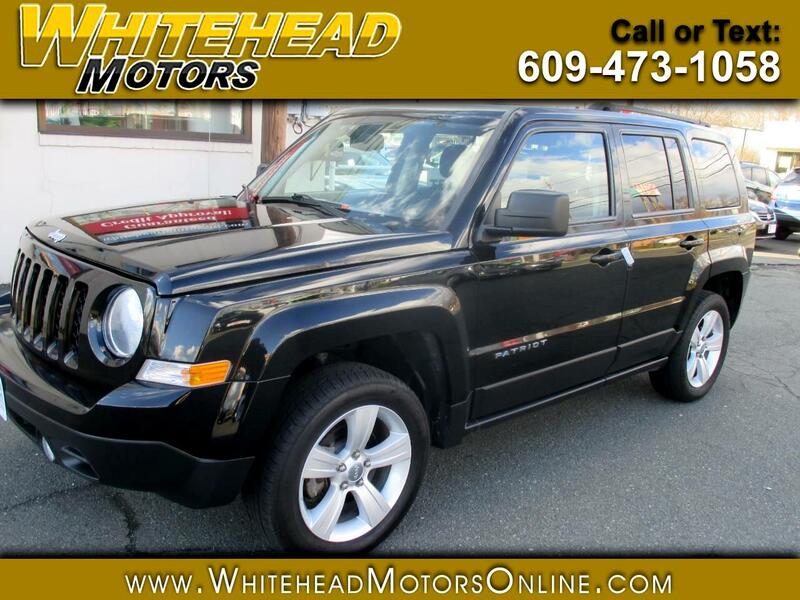 Enjoy our Accident Free 2014 Jeep Patriot Latitude 4X4 shown in a stunning Black Clear Coat exterior finish. Powered by a proven 2.4 Liter 4 Cylinder that produces 172hp on demand while connected to a smooth shifting 6 Speed Automatic transmission. This Four Wheel Drive SUV secures nearly 28mpg on the open road. Enjoy body colored bumpers, deep tinted glass, 17-inch wheels, and roof rails that leave an aggressive stance of pure Jeep in your parking spot. Combined with the agile suspension, this Jeep offers capabilities that other SUV's just can't produce. Inside our Lattitude, enjoy the main features like comfortable cloth seating, the Uconnect system that features voice command, Bluetooth capability, a touchscreen display, USB/AUX inputs, and an amazing audio system with available Sirius radio to keep you connected and entertained. Plus Latitude adds in air conditioning and full power accessories along with a leather-wrapped steering wheel with mounted controls. Jeep offers stage airbags, side curtain airbags, and stability control, so this Patriot has the capabilities to protect its occupants on or off road in almost any driving condition. It's time for a Jeep! Print this page and call us Now... We Know You Will Enjoy Your Test Drive Towards Ownership! Get Approved In Minutes at Whitehead Motors. We Make Car Buying Easy.